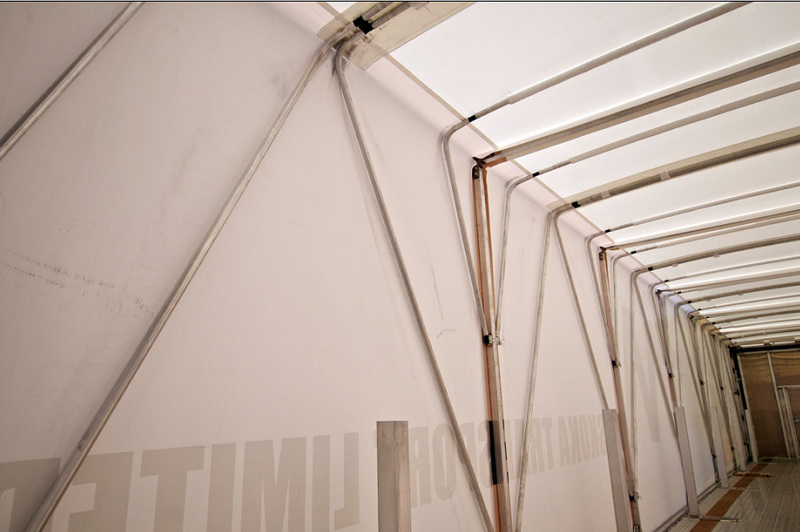 Purpose: the Up-lifting scissor bow system is designed to provide the exact tension to the tarpaulin roof while minimizing the downward tarp pleating when the system is accordion to the front or rear. 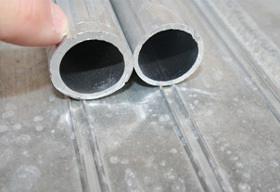 Manufactured with a heavier aluminum extruded wall thickness then our competitors which provides greater strength and integrity to the overall frame structure especially proven in extreme high winds. 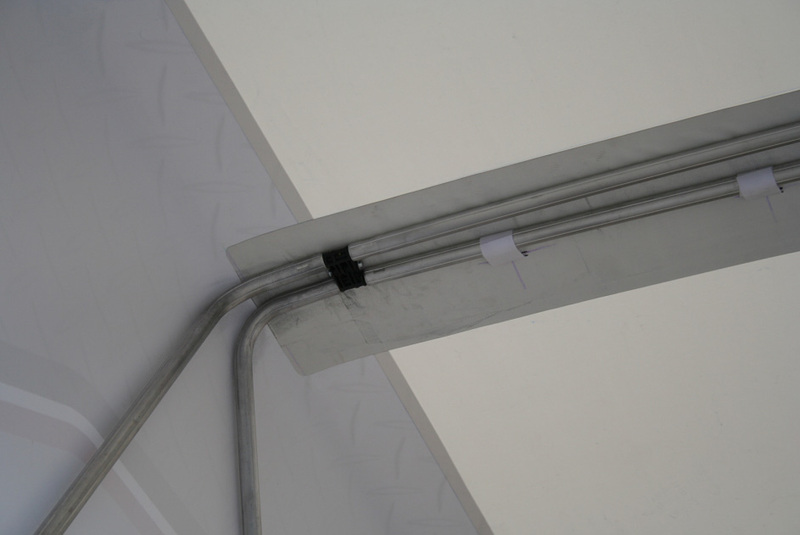 Our Double Hinge connected tubular roof design acts similar to a step ladder whereby its own self-supporting eliminating any need to be attached to the tarp roof like other designs. Designed with a role formed 1-1/2� rounded camber built into the roof pushes the tarp upwards between the rolling frames allowing for maximum tension and water run off. 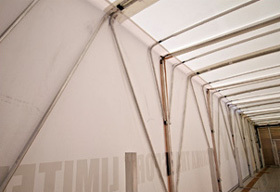 Our corners are elliptical, meaning the radius elbow does not touch the tarp corner eliminating tarp wear in the corner. 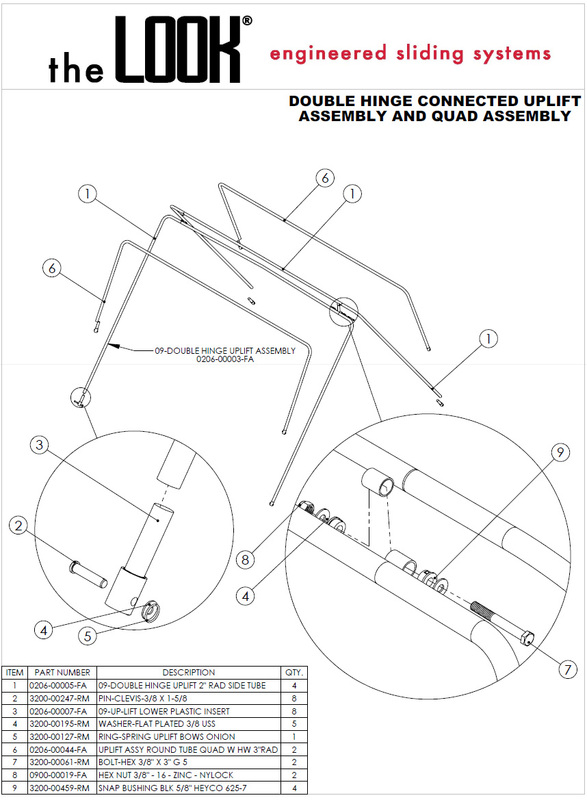 Our unique modular design is easily assembled using a crimping tool eliminating the need for mechanical fasteners. 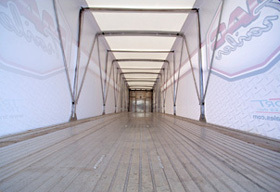 Standard: Double Lift System: Designed for General Cargo loads the Double (Two Arm System) allows for 9� downward pleating into the loading area. 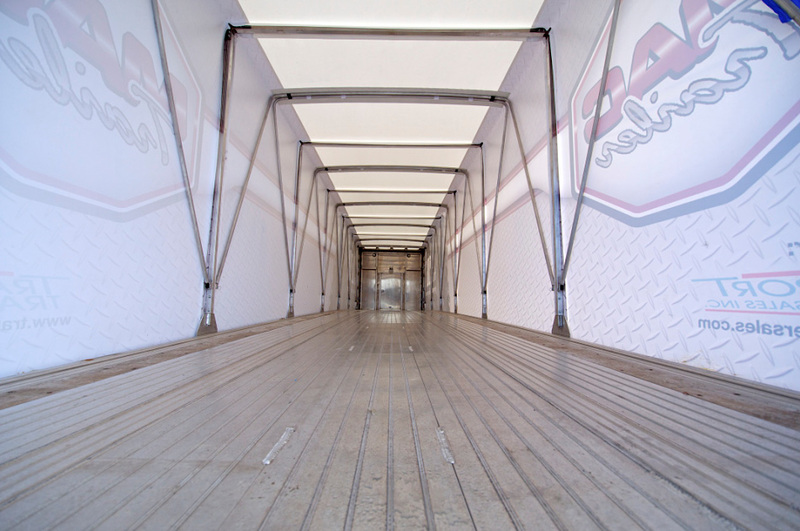 Optional: Quad Lift System: Designed specifically for Maximum interior loads the Quad (Four Arm System) allows the tarpaulin to pleat 5� into the loading area allowing the system to have less contact with the freight when being opened. 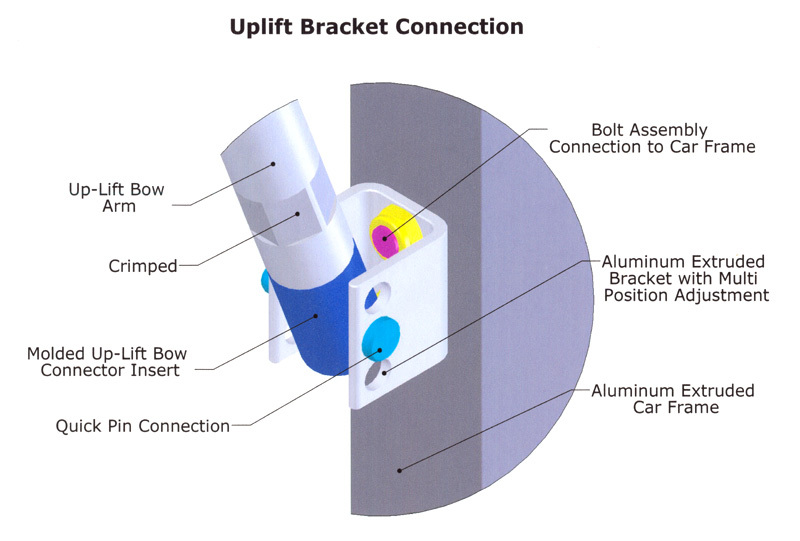 Extruded Up-Lift Bracket: Designed with variable fine tune height adjustment this bracket supports the bow system and features quick disconnect assembly. 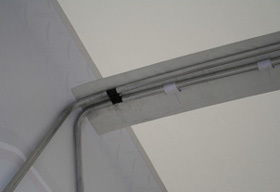 The plastic inserts are crimped into place eliminating any need for holes that will only weaken the structure. Our Commitment: LCS Innovations is continuing to design newer and more efficient Up-Lifting Systems to benefit our design. 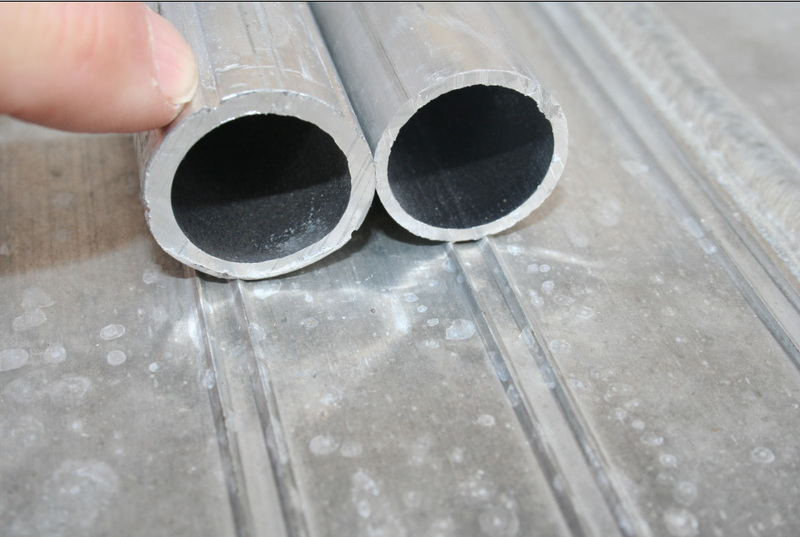 Compare the extrusion of our competitors (see on the right) to the LCS uplift extrusion (on the left) which is 2X the wall thickness with reinforcing ribs for greater structural strength.